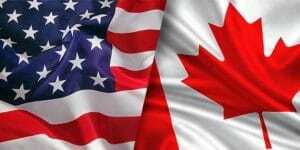 In a retaliatory response to President Donald Trump’s tariffs against Canadian steel and aluminum, on July 1st Canada implemented 16 Billion Dollars in retaliatory tariffs against the United States (U.S.). The growing trade war between the U.S. in Canada is nearly unprecedented, as the two countries have one the closest trading relationships in the world. Hitting U.S. Presidents where it hurts, politically, has been a successful strategy in the past. In 2002, the European Union (E.U.) placed retaliatory tariffs against Florida Oranges in an attempt to compel then-President George W. Bush to reverse his newly imposed tariffs on steel coming from the E.U. The strategy was largely successful, and in 2003 Bush rescinded the tariffs. Will Prime Minister Justin Trudeau’s strategy of hurting Trump politically work? Time will tell. What is clear is that this level of trade angst between the U.S. and Canada is unprecedented, especially within the context of NAFTA negotiations. Trump has repeatedly demonstrated his tried-and-true negotiating tactic: ask for more than what you want, and then give a concession later to get what you really want. This worked well for him in business and this could be part of some grand strategy to compel concessions from Canada in NAFTA negotiations. Yet Trump has also shown himself to be a protectionist at heart. Interviews from the past thirty years show his protectionist and isolationist leanings. So what will come from the tariffs? We really do not know – This is uncharted territory for Canada, which is accustomed to an open, free trade system with the U.S. (save for a few skirmishes over the years – nothing at this level). So what does this all mean for Interest Rates in Canada? Counterfactually, had Trump never of imposed these tariffs and NAFTA negotiations were going well Canada would most certainly be seeing a rise in interest rates. Indeed, as the U.S. economy booms so too does ours, and our economy has been humming along, beating expectations. Interest rates rise to fight inflation, a byproduct of economic growth. While the Canadian economy has grown throughout 2018 so too have interest rates risen – The Bank of Canada raised its benchmark rate three times during 2018, and most observers expected another round of rate increases were soon to follow. Trade wars are almost always economically damaging for both countries involved. Indeed, when the U.S. and Canada battled over softwood lumber in 2002 it was estimated that thousands of jobs were lost. Most observers are predicting that the current trade war is going to be extremely damaging to both the U.S. and Canadian economies. Whether the tariffs will damage the Canadian economy or not (and they will), we are in a period of uncertainty, and markets and economies do not like uncertainty. In fact, they hate it. As uncertainty mounts over the future of Canadian economic growth, it is imperative that the Bank of Canada does its best to keep the Canadian economy growing – or at minimum not let it shrink. Raising interest rights now would further weaken investment opportunities in a country already facing uncertain economic growth. With all of the uncertainty out there it is a good time to lock-in your interest rate while rates are low. While it is unlikely that the Bank of Canada will hike interest rates, it is equally if not more unlikely that it will lower them. All things being equal it might be a good time to consider locking-in while the market is uncertain and ride out the next couple of years.